With over 70 million websites depending on WordPress, there is no doubt that it is the most popular CMS on the market. Website hosts understand this and focus specific plans around the vast capabilities of the WordPress platform. HostGator is no different. They offer three different packages designated for users of WordPress. These three options include the starter plan, the standard plan, and the business plan. While there are quite a few differences between the plans, all three offer significant advantages over the basic web hosting plans that HostGator offers. Yes. 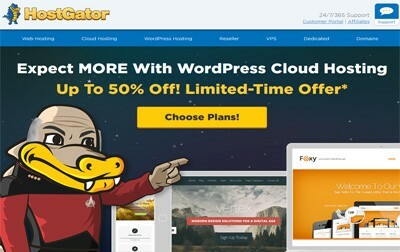 Free migration is included with all three of the WordPress Hosting plans offered by HostGator. The only difference is the amount of free migrations that you are allowed. The starter plan includes one free migration, the standard plan includes two, and the business plan includes up to five. On top of the free migrations, HostGator also has in-house WordPress experts that are available to assist users. It should be noted that only the business plan includes WordPress Developer help for free. Both the standard and business plans include a free WordPress beginner walkthrough session to help you get acclimated with the HostGator platform. What Type of Security Measures are in Place for WordPress Plans? If you do not already know, HostGator has had a few issues with uptime and security in the past. In 2012, there was a social engineering attack that ended up resulting in over 500,000 customers having their private information compromised. With this in mind, it is important to have an idea of what type of changes HostGator made to security in order to prevent these issues in the future. In order to upgrade their security, HostGator integrated a built-in malware removal system, platform firewall, and off-site backups to ensure that website data is fully protected. It should be noted that these improved security measures have resulted in absolutely no documented issues since the 2012 incident. What are the Biggest Differences Between the Three WordPress Plans? While pricing is one of the most obvious differences between the three WordPress Hosting plans, the other major differences include the amount of sites you can register to the account, the speed of your website, and the level of customer support that you receive. For pricing, users can expect to pay around $15/month for the starter plan, $21/month for the standard plan, and $28/month for the business plan. As is expected, significant discounts are offered when committing long term. As far as the amount of sites that you can register to your account, the starter plan allows for one website, the standard plan allows up to two, and the business plan allows for up to five. For website speed, users that commit to the business plan will receive compute power that is up to 5x faster than HostGator’s basic plans. Starter and standard plan users will have compute power that is about 2x faster. The level of customer support is one of the most significant differences between the three plans. Business plan users will have access to WordPress developers that can help with anything related to running your website effectively. Business and standard plan users will also have access to a free WordPress beginner walkthrough that will help you setup your site as well as receive information related to your unique needs. Is an SSL Certificate Included? Yes. A SSL certificate is included with all three options. It should be noted, however, that it is a shared SSL certificate and you will have to purchase your own private SSL certificate if you would like to receive a higher level of security for your website. 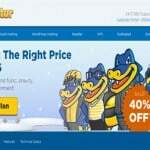 HostGator offers users the ability to purchase a private SSL certificate directly from them for $150/year. 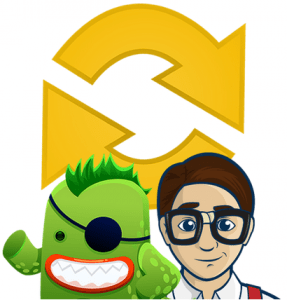 How Does HostGator Handle Traffic Spikes? HostGator strongly emphasizes their ability to handle quick website growth. Regardless of the plan you choose, they offer a lot of versatility in terms of helping keep your website up and running even if immediate traffic spikes occur. Understand, however, that HostGator will ask that you upgrade your plan if these traffic spikes occur on a regular basis. Overall, the WordPress Hosting plans that HostGator offers are among the best that you will find in the industry. They clearly emphasize the need to cater to WordPress users and have even built a simple control panel that is perfect for both novice and experienced website owners. When deciding upon which plan will work best for you, the first thing you will need to do is determine the amount of websites that you will registering. You will also want to figure out what level of customer support will be necessary to help you build your website, as the level of assistance varies depending on which plan you choose. At the end of the day, you certainly cannot go wrong with any of the WordPress Hosting plans offered by HostGator. If you are having trouble determining which plan best fits your needs, your best bet is to get in touch with their customer support staff so they can better decipher which package will work best for your specific situation. Free migration is included with all of the 3 plans offered. Simple and easy to use control panel perfect for not so experience users. Provides automatic backup of the entire site everyday. I want great Wordpress hosting and I love to save. I prefer to pay full price.